Please note that the content of this book primarily consists of articles available from Wikipedia or other free sources online. 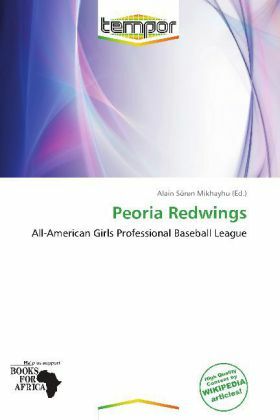 The Peoria Redwings were a women's professional baseball team who joined the All-American Girls Professional Baseball League in the 1946 season. The team represented Peoria, Illinois. The Redwings made an unsteady start in their inaugural season, going 33-79 to finish last 41 games out of first place in the Western Division. The team improved in 1947 with a 54-57, good to finish in fifth place in the eight-team contest. Their most productive came in 1948, when they finished 71-55 for the third place in the division and fourth overall, gaining a playoff spot, but were swept by the Racine Belles in three straight games.